A new ordinariate will be created on January 1 to bring Anglicans into the US Catholic Church, Cardinal Donald Wuerl of Washington has announced at an annual meeting of the country’s bishops’ conference. Cardinal Wuerl also said 67 Anglican priests had submitted their dossiers seeking ordination in the Catholic Church, and 35 of those had received initial approval from the Congregation for the Doctrine of the Faith. They can now move to the second stage of approval, which includes a criminal background check, psychological evaluation and recommendations from the Catholic bishop where he lives and from his Anglican ecclesiastical authority, he said. 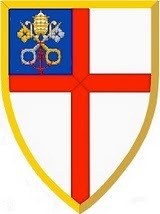 The actions followed the November 2009 issuance by Pope Benedict XVI of an apostolic constitution, Anglicanorum coetibus, authorising the creation of an ordinariate to bring in Anglicans, or Episcopalians as they are known in the United States, who seek to leave their tradition and join the Catholic Church but retain certain elements of the Anglican faith. The announcement in the final hour of the public portion of the annual meeting in Baltimore brought immediate logistical questions, such as the relationship between the ordinariate – which will cover the entire US – and the dioceses in which the former Anglican priests will live. The physical location of its offices has not been announced. An interesting time to be Catholic.